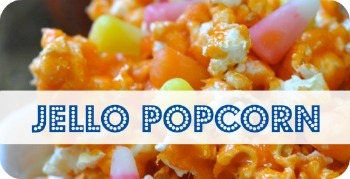 I have had Jello Popcorn a few times but had never made it. But I love any kind of popcorn and so have always wanted to give this a try. Last Friday we had a Halloween party and it just seemed like the right time. I wanted orange and obviously the flavor was orange… It turned out really pretty! I didn’t make popcorn balls out of it but as I was making it I could see how easy it would be just to simply make them into popcorn balls. 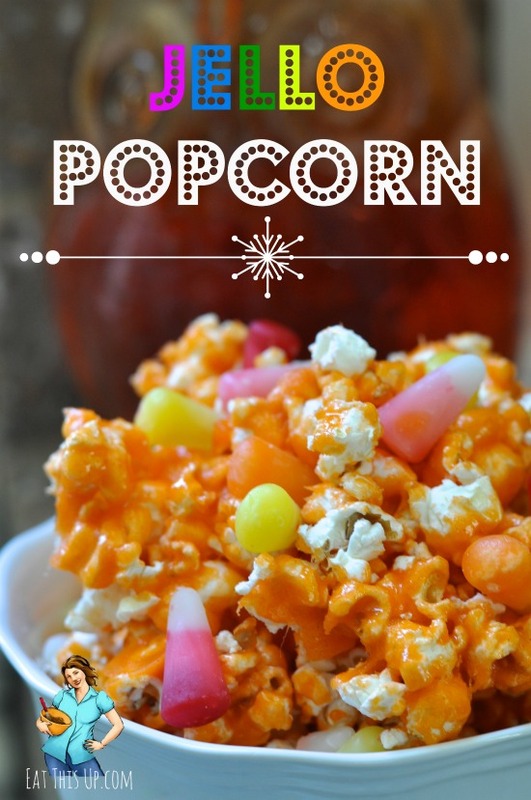 Easy candy coated popcorn made with Jello. Pop popcorn either with an air popper or in the microwave. Use the no butter kind. I did mine in an air popper. Leave the popcorn in a large bowl. Line a large cookie sheet with edges with wax paper or a silpat sheet. Melt butter, sugar and Corn Syrup in a medium saucepan, then add Jello. Bring to a bowl over medium heat stirring frequently. Once the mixture comes up to a boil. Start watching the clock for 4-5 minutes. You want to bring the mixture to 240 or soft ball stage. 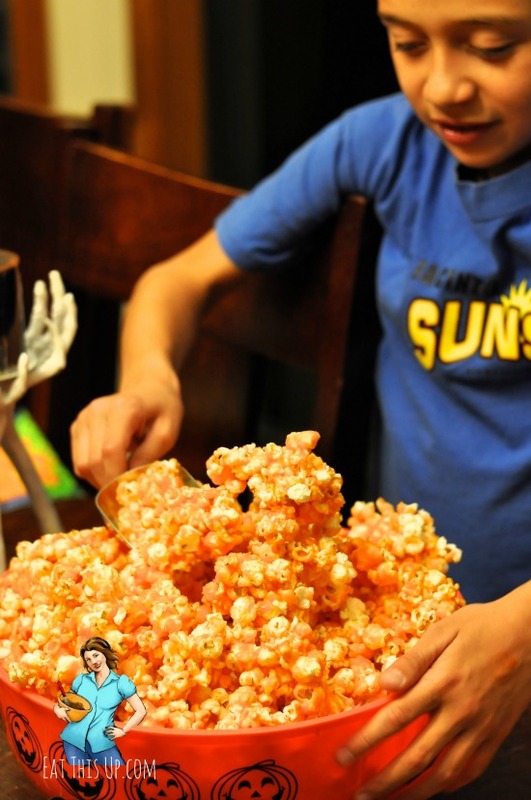 When it reaches that temp, pour syrup over pop corn and quickly stir to coat all the popcorn. Pour the coated popcorn out on cookie sheet and bake in a preheated 200 degree oven for 45 minutes, stirring every 15 minutes. Remove from oven and let cool completely. Okay, this seems like such a fabulous ideas. I think my kids would chow all of this down. 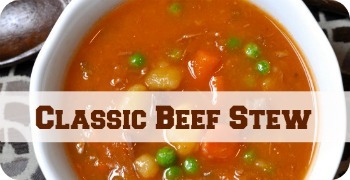 Thanks for sharing the recipe and linking up to Thrifty Thursday. OMGOSH! this stuff is great! I tried it with Jello Strawberry N Cream Pudding mix (it’s all I had) Super yummy!